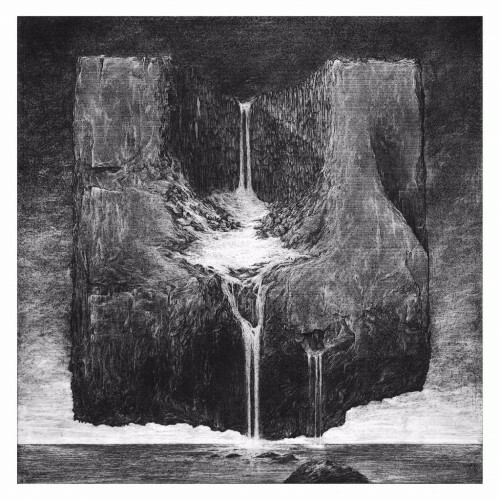 Icelandic purveyors of chaos and wrath,bringer of darkness Zhrine unleashed their debut full length album entitled “Unortheda” in the beginning of this month via Season of Mist record label. Zhrine have ended the trilogy with a bang. Mixing black metal with avant garde together, with even a bit of progressive and death metal, was always their forte. New album is filled with more unearthly, astounding,critical acclaimed,heavy, claustrophobic misery ,enigmatic melodies to show just how pathetic the human black metal scene is when compared to superior beings from the distant stars. This new album is consist with 7 tracks.Basically Zhrine was formed in 2007 and active till 2014 as “Gone Postal” Later they’ve changed their name as Shrine and active from 2015 as Zhrine. They have been slinging noxious, elevated Icelandic extreme metal since before anyone was really looking to the wintery island nation .Certain Icelandic bands were able to gain proper attention and Zhrine appeared becoming a well established group of bands who can make a fully sound and creative and with a lot of poetry in his lyrics,with well crafted,distinct content . Already Sororicide,Svartidaudi,Misthyrming is successful and well renowned Icelandic band easily “Zhrine” became one of my favorite Icelandic band with their mystique and epic musical style . now I’m straight diving to the point about this new album . This new albums whole compositions are extremely filthy and unsettling piece of sinister euphoria and unearthly ambiance .when at first I’ve checked out their first released track “Spewing Gloom” from this album I was just overwhelmed and to be honest this album was one of my long awaited,anticipated album of this year because I haven’t listened this type of harshest slabs of black/death metal for a long time. This bands each and every members are excellent musician appreciate their unsurpassed quality,ability and skill. All of their tremendous effort portrayed in this album in radiant way with excellent diligence and nailed it. 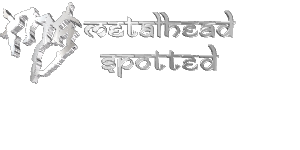 After a multiple listen their latest studio effort infused me with their Unrelenting, powerful,blasting ,overarching,chromatic, chaotic , multi-layered ,ultra-dense,monolithic death metal musical style laced with blackened,gloomy atmospheric vibe just blew me away . Their musical style have a hypnotic effect and especially melancholic style which adds to the more atmospheric kind of black/death metal but at the same time the vocals and other parts of the riffing is straight forward furious simultaneously . This whole album reflects the grand diversity of sound brought together on this album . It is really not easy to describe their complex musical style . Black Metal with unconventional influences enjoys indeed tend quite popular .A natural synthesis of dissonant sounds and disparate styles all combined in one bold, enlightened display of unbound creativity. Despite the often fast ,furious,cacophonous ,heavy and barbarous form of black metal assaults laced with dark eerie,gloomy and occult atmosphere with a lots of segments of slower,mid-paced tempo too where Zhrine combines cavernous drum thrashes, melancholic guitars ,previously mentioned all aspects enriched this album that is very powerful,strong and excellent all at the same time along with a good balance of black/death metal music, melody and brutality with strangulated ,filthy,thick,doomy riffs work and those effective rasps simultaneously borrow blackened,gloomy,sinister vibe. I highly appreciate and embrace this album because of their distinct style . well, this albums opening track “Utopian Warfare” starts with sonic assailment,obtuse,grotesque,atmospheric sound followed by an onslaught of tremulous ,dark eerie, savage riffs and a wall of blast beating ,spectacular drums laced with aggression,deliberate cadence . Their whole composition and musical style is impeccable also borrow great atmosphere. They have injected doom,black metal vibes into furious death metal style.Their musical representation evolves into souls wandering vicious, crushing and ominous wasteland . This whole album gives u pitch-black feel from beginning to the end and I warn you this is a gloomy journey. This album is filled with a slew of cadence, apocalyptic, squalid, ominous,hellish,doom laden,filthy, crawling, slow but powerful riffs work . As well bass line up is whopping,intense,Chaotic ,rumbling . Drumming,percussion line up is bleak, frantic,solid,clattering and powerful . In each track breathtaking,morbidly delicious, scalding,macabre,soaring riffs,bass lineups matched in well manner with hellish,devilish chords and horror,mournful sounds are rightly used as an additional uncanny harmonic layer. The most striking thing you’ll notice about the sound of Zhrine is the air of melancholy that quite literally drips from the noise they create . This whole albums sound deliver a dissonant,grim feeling,sinister,melancholic,gruesome black/death metal with raw emotion and pure energy . 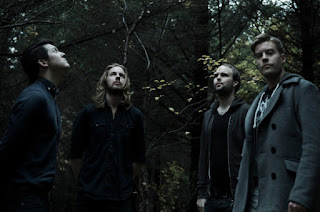 “Unortheda” endures beauty of black/death metal . This album indulge strong songwriting and brilliant musicianship . This album have a hypnotic effect on the listener . Vocals large, inhuman voice that does well for Zhrine . Vocals howling scream, hoarse ,snarling, sneering , deep rasps , deep lung-burning roars, immense voice emerged on this album in a well manner and intertwined perfectly with their utterly spellbinding,obtuse,bizarrely arrogant, mysterious,fully blistering, grandiose death metal,distant musical style with a lots of melodic,atmospheric,doomy accompaniment and embedded perfectly . Overall you will get sinister,gloomy,desolate,mysterious ambient from this whole album . I really worship this band . Each song have an energy ,fluency and draw a savage landscape .Stand out tracks are all of them . I personally Cherish Utopian Warfare,Spewing Gloom,The Earth Inhaled,The Syringe Dance track those are remarkable,appreciable too. Album artwork is atrocious,grisly, indelible . Overall “Unortheda” whole album is Spectacular,engrossing ,significant,rich . This album sounds so authentic and a truly remarkable sonic journey from beginning to end . Indeed this album is such an true gem of this year . I’ll say this whole album is aesthetics of death metal .Outstanding another one release of this year so far .This is highly recommend to add it in your collection .If you are looking for something different, epic this pure unadulterated black/death metal album is perfect and it will take you on a journey into another universe . so, enter the void and I am sure definitely u will come out stronger,darker,gloomier than ever before. 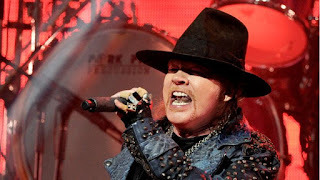 The rumors have been confirmed: Just hours before Guns N' Roses are scheduled to take the stage for their triumphant reunion gig at Coachella, AC/DC formally announced that – before GN'R's Not in This Lifetime Tour kicks off – Axl Rose will first join them as vocalist for the remaining dates of their Rock or Bust trek. "AC/DC will resume their Rock Or Bust World Tour with Axl Rose joining on vocals," the band announced in a statement Saturday. 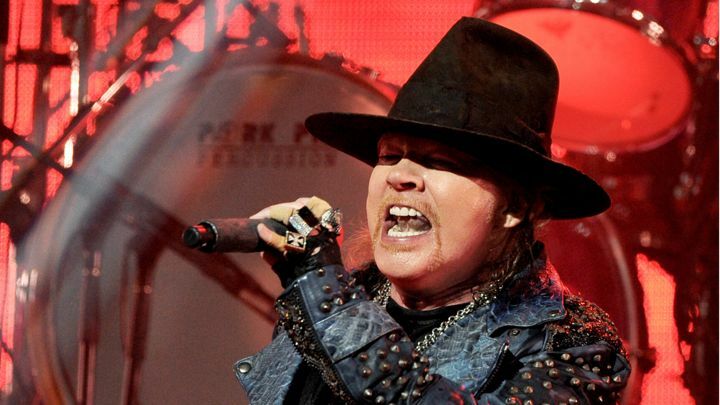 Rose will take the place of longtime AC/DC vocalist Brian Johnson, who was forced to abruptly quit touring with the group or risk "total hearing loss." "AC/DC band members would like to thank Brian Johnson for his contributions and dedication to the band throughout the years. We wish him all the best with his hearing issues and future ventures," the band said. "As much as we want this tour to end as it started, we understand, respect and support Brian's decision to stop touring and save his hearing. We are dedicated to fulfilling the remainder of our touring commitments to everyone that has supported us over the years, and are fortunate that Axl Rose has kindly offered his support to help us fulfill this commitment." The band continued, "The European stadium tour dates begin on May 7 in Lisbon, Portugal and run through June 12 in Aarhus, Denmark as previously announced. Following this European run of dates with AC/DC, Axl Rose will head out on his Guns N' Roses, 'Not In This Lifetime' Summer Stadium Tour." AC/DC added that the 10 U.S. shows postponed by Johnson's sudden departure will also be rescheduled with Rose handling vocals. 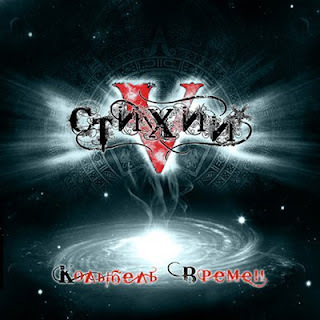 Russian Melodic Metal band 5 Stihi released their new album "Kolibel Vremeni" (Cradle of time) on Russian label CD-MAXIMUM. The band guitarist Sergei Medvedev described the album as "an allusion to the connection between the past, present and future, because otherwise you can not understand who we are".